Once you’ve tracked the cracks and fetched your supplies, there’s one more task before you pull the trigger: Surface prep. No matter how good your caulk is, it won’t adhere well to dirty, oily or wet surfaces, or areas with flaking paint or old caulk. 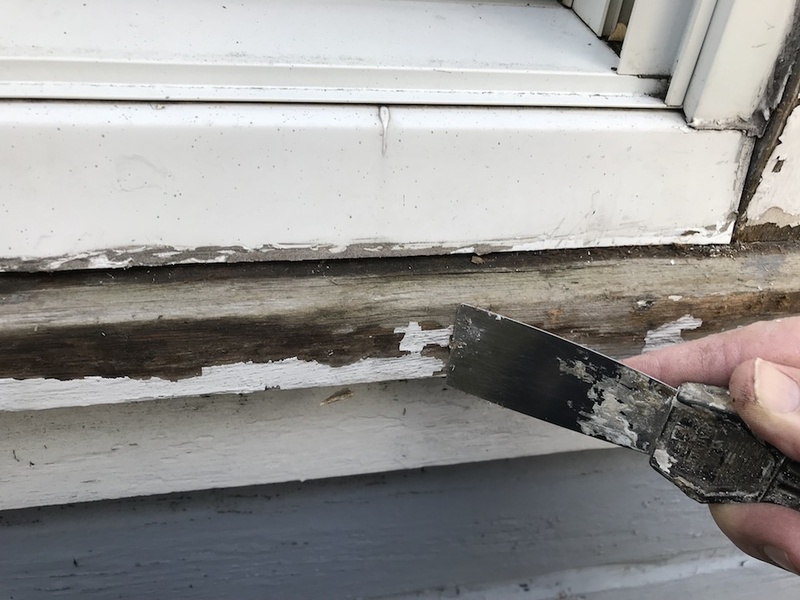 Scrape away any loose or flaking paint, and dig out any old caulk. Clean the surface well with mineral spirits, or a TSP mixture, making sure any residue is cleaned off, and let the surface dry completely before you start caulking. 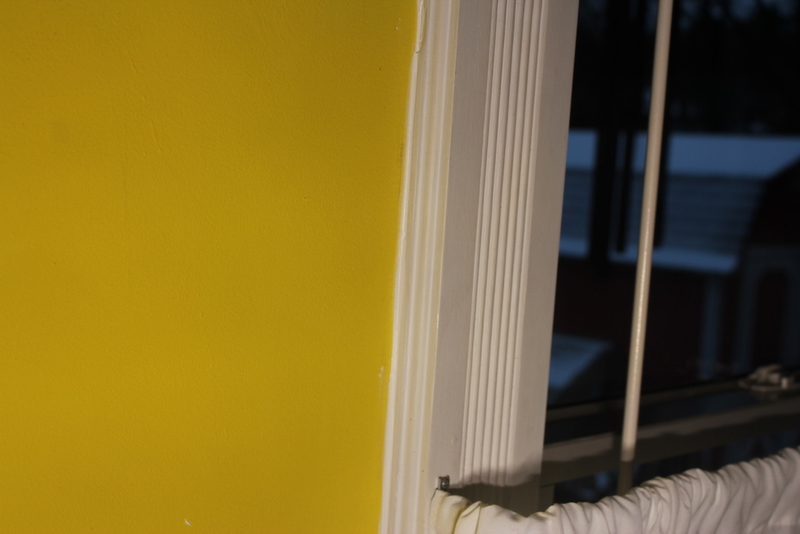 It’s a good idea to put a coat of primer paint on any areas with bare wood, before applying your caulk. And scrape any loose paint and other debris. If you’ll be applying caulk to your home’s exterior, check the caulk’s instructions for temperature restrictions. According to the label, GE Supreme Paintable Silicone Caulk can be applied in temps ranging from 40 to 120 degrees. For my project, in late November, I wasn’t worried too much about the upper end of the range; on the day I did the exterior, temps were in the upper 40’s. Enough Talking, Let’s Get Caulking! Once your surfaces are clean and prepped, the worst is over, and it’s finally time to pull the trigger! Some tubes of caulk, including GE Supreme Paintable Silicone Caulk, have a cap over the end of the tip. Pop it off, and get ready to cut off the tip. The further from the tip you cut, the wider your opening will be; if you have gaps of different widths, make your cut near the end, to start out with a nice, narrow bead. You can always cut a bit more off, but you can’t put it back on. Use your caulk gun’s tip cutter, if it has one, or a utility knife. Cut the tip straight across, rather than at an angle; it works just as well for applying the caulk, and it’s less fussy to work with. Cutting the tip off the GE Paintable Silicone Caulk. Start near the end. After the tip is cut off, you’ll need to poke through the inner seal at the top of the tube. 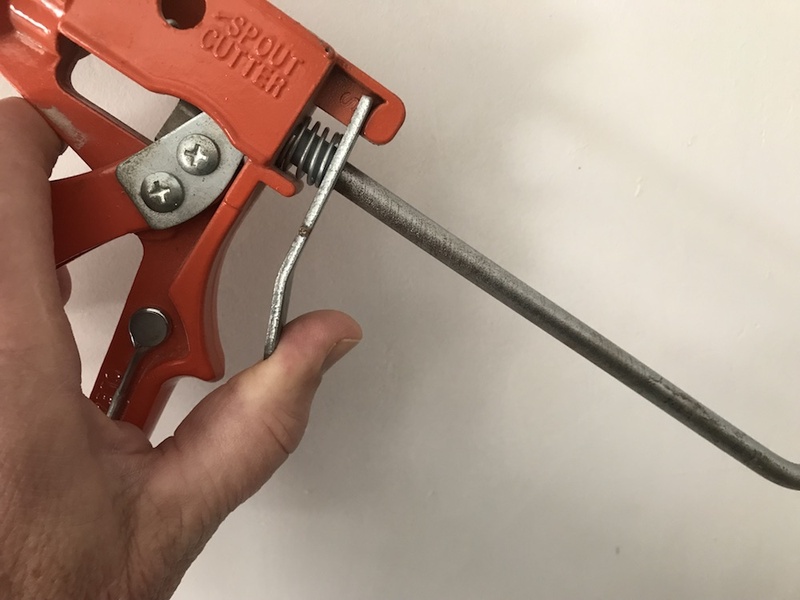 Some caulk guns have a built-in poker; if yours doesn’t, a long nail or a piece of a wire coat hanger will do the trick. Poke through the inner seal. 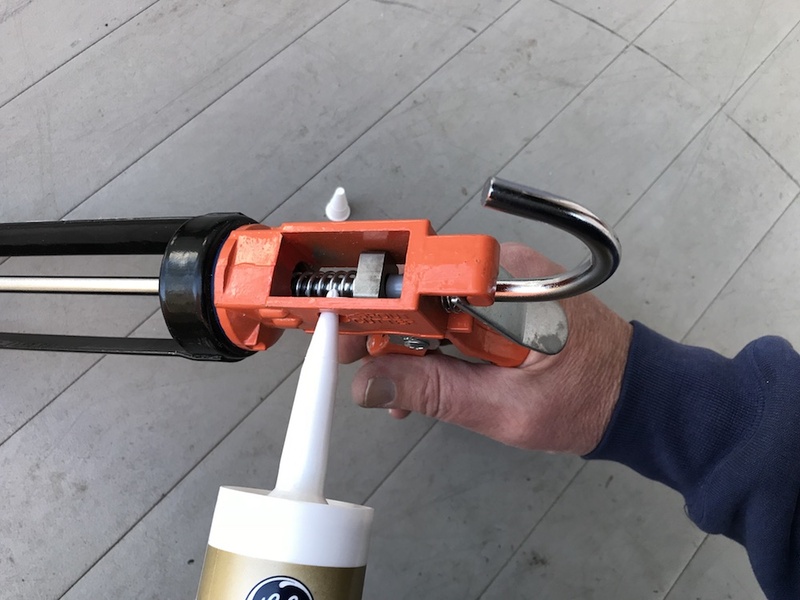 Pull the caulk gun’s plunger all the way to the rear, insert the tube into the caulk gun, and snug up the plunger by slowly squeezing the trigger. Have a paper towel or rag ready, and squeeze until the caulk just begins to come out of the tip. Let go of the trigger, and on many caulk guns, you’ll also have to push on the pressure-relief lever to stop the trickle of caulk. To stop the flow of caulk, push the pressure-relief lever. 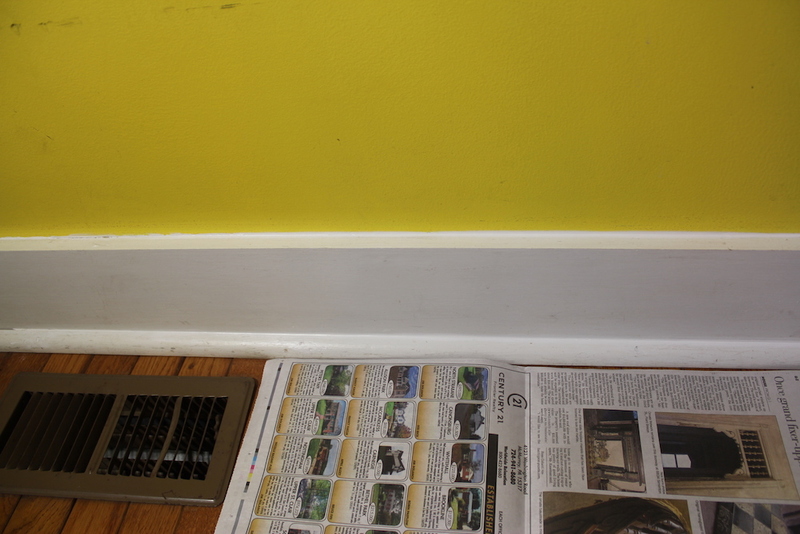 Pick a starting point at the end of one of your gaps, and place the tip of the caulk tube into it. Although it may seem intuitive to pull the gun toward you, you’re more likely to get full contact by pushing the gun ahead, with the tip angled away from you very slightly. Go slowly, and apply light but steady pressure. You’ll quickly get the hang of just how much pressure to apply. Keep the gun moving, and as soon as you reach the end of the gap, release the trigger and immediately push the pressure-relief lever. 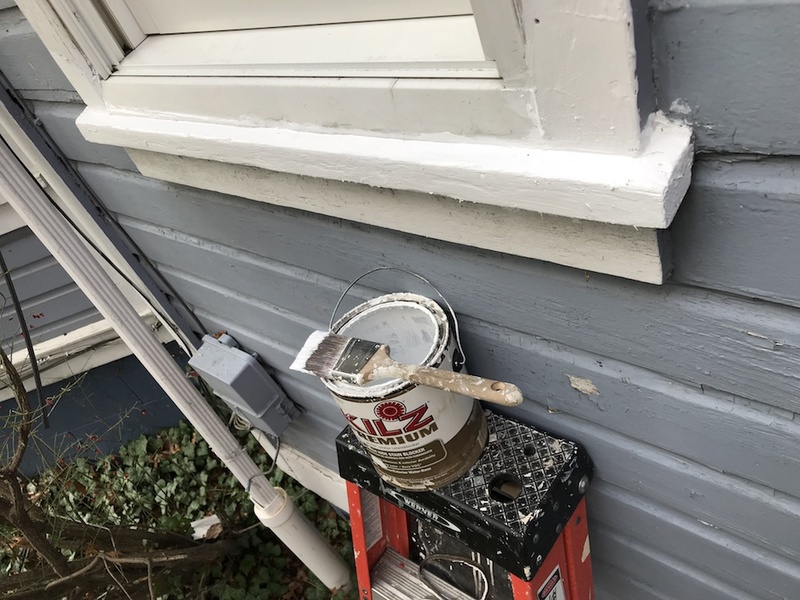 If you have to stop caulking in the middle of a run, you’ll be less likely to end up with a big glob of caulk by starting again from the other end of the gap and working back toward your stopping point. Don’t worry if it’s not too pretty when you finish; you can easily smooth it out. If you stop partway through, start again from the opposite end. After the entire gap is filled, check for any spots you missed, and give them an extra dab as needed. If you’re using GE Supreme Paintable Silicone Caulk or another non-latex caulk, dip your finger into a bit of mineral spirits, and run your finger smoothly along your freshly-caulked surface. Again, an inexpensive pair of disposable nitrile gloves will make for happier fingers. And that’s it – on to the next gap! Do all the narrower gaps first, then re-cut the tip when you’re ready to attack the bigger air-leaking cracks. 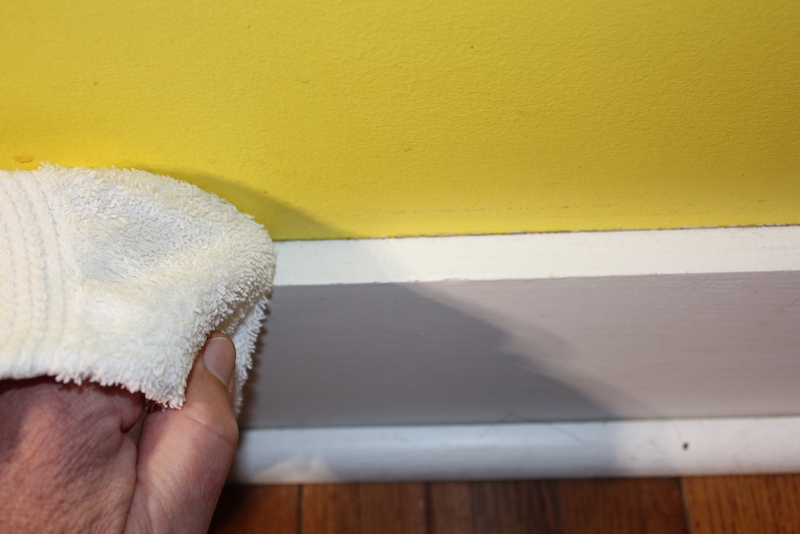 For really large gaps – wider than ¼” – push in a piece of backer rod slightly wider than the gap before caulking. 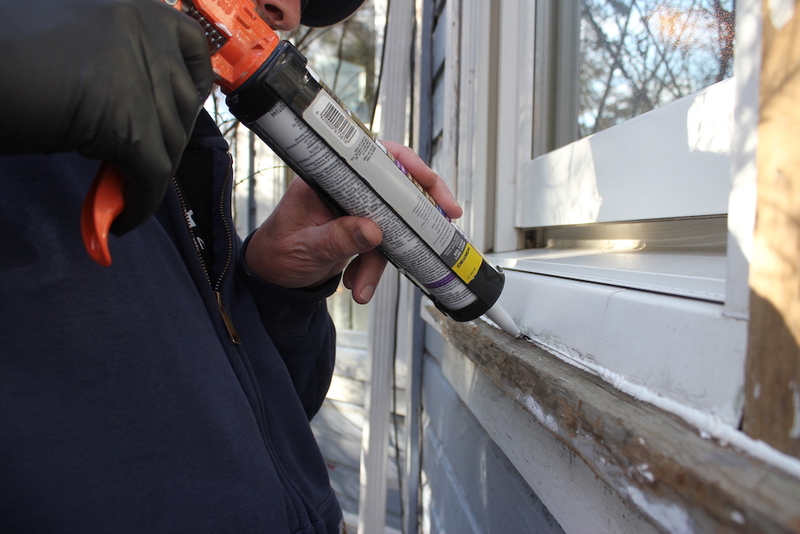 Looking for more info on caulk, or tips on caulking projects? Check out GE’s “Caulk it like you mean it” playlist on YouTube. I found the GE Supreme Paintable Silicone Caulk very easy to work with. 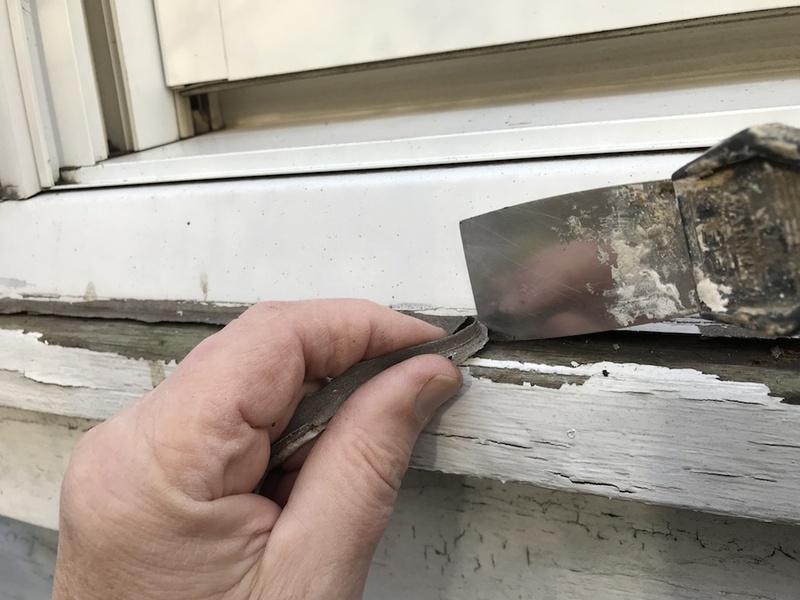 It flowed smoothly, was easy to “tool” with my gloved finger, and it adhered very well to every surface I used it on – even our weathered wood and aluminum window flashing on a cold day. Given its flexibility and 100% waterproof qualities, I anticipate the exterior portion of this caulk job in particular will fare much better than the previous effort, which failed miserably. If you’re a fan of instant gratification, you’ll like the fact that if you’re planning to paint, you can do so immediately with spray paint, or after only 30 minutes with a brush. Even more importantly, GE Supreme Paintable Silicone Caulk is rain-ready in only 30 minutes, so even with only a minor break in the weather, you can get things tightened up. 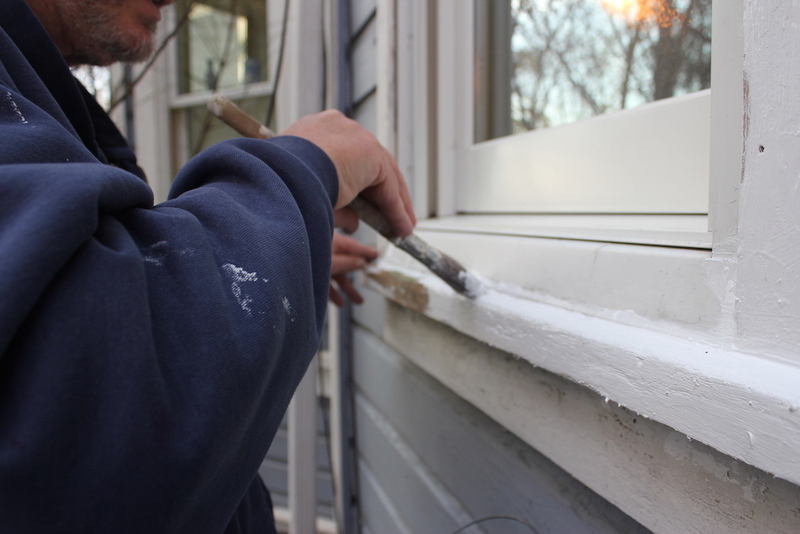 This was especially useful in our situation, as it rained – and then snowed – a few hours after the caulking was completed. With only a brief break in the weather, 30 minute paintability was key. On our project, I actually set a timer, and sure enough, the GE Supreme Paintable Silicone Caulk was skinned over and ready for paint after 30 minutes. I put a coat of good primer on it, and it’s now ready for a final coat – as soon as the weather cooperates. Temps since we completed the caulking have stayed in the 30’s or below, but the massive gap is sealed and looking good. And best of all – no more Arctic breezes when we walk past the windows. If you’d like to save some energy and money – and not have to don a windbreaker when you walk past your windows and doors – introduce your gaps to a tube of GE Supreme Paintable Silicone Caulk. GE guarantees it for as long as you own your home, with a 10-year guarantee against mold and mildew. GE Supreme Paintable Silicone Caulk is available at most home centers and major hardware stores. 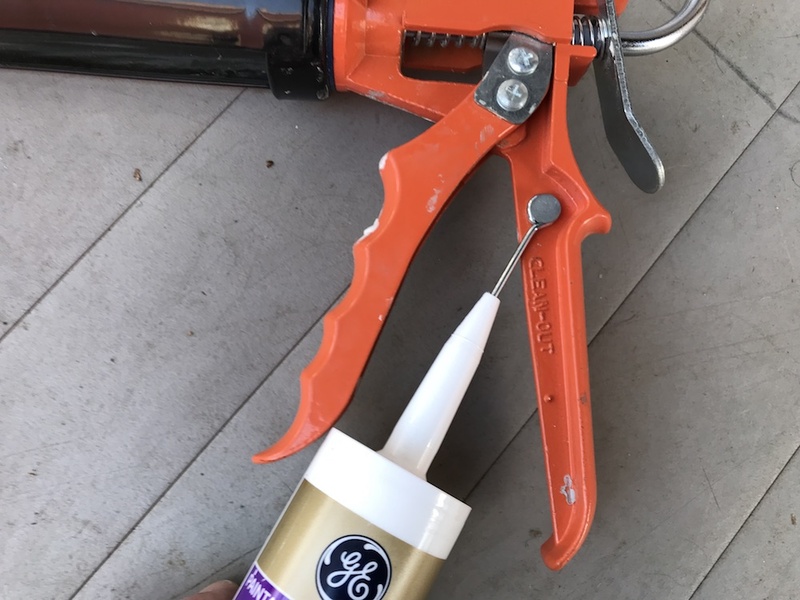 I have partnered with the manufacturer of GE-branded sealants and adhesives to bring you this post, and have been compensated for my honest opinions. This is a sponsored conversation written by me on behalf of Haven Home. The opinions and text are all mine.